Lucifer: What Would Lucifer Do? This week’s episode seemed to focus on the question of change. Are people actually capable of real change or are they just denying who they really are? This is the question Lucifer brings up when our case of the week takes place at Firehawk, a reform camp for troubled youth. We seem to have a dead camp counselor and it sure as heck looks like one of the youths did her in and it’s really hard to dispute a tool belt with a missing murder weapon that’s assigned to a pupil by the name of Tyson Chase. Lucifer is positive that he did it because, obviously, people don’t change. But after some very Lucifer-esque persuasion in the form of almost speeding off a cliff in a car (which Tyson was stealing, for old times sake), followed by the very near death experience of dangling over the cliff’s edge from an open car door, the guy talks. Tyson claims that he loved Emily and wanted her to leave with him now that he was 18 and no longer had to stay at the camp. According to Tyson, Emily was struggling with a resident she was on the brink of expelling and was afraid to leave the camp. Perhaps Lucifer was right that people don’t really change. Using Lucifer’s logic of people don’t really change, Decker thinks something’s up with the owner, Jerry Blackcrow. Why else would a bad resident have computer privileges? Chloe and Lt. Pierce head to Firehawk and proceed to get shot at by Blackcrow, who shoots Lt. Pierce and gets away in his truck. Lt. Pierce is fine but Blackcrow isn’t so lucky. He’s later found by Lucifer while attempting to get some cash and flee. Lucifer almost kills him but Amenadiel shows up: Our wingless angel reminds Lucifer that he’s not evil, just a punisher of evil, which seems to sway Lucifer because later we find Blackcrow beaten up and hog-tied, but very much alive. Case closed. After coming to the realization that Lucifer is Amenadiel’s task to regain his powers, Amenadiel is struggling to find out exactly what he’s supposed to do with Lucifer. Does he help him? Teach him? Learn from him? 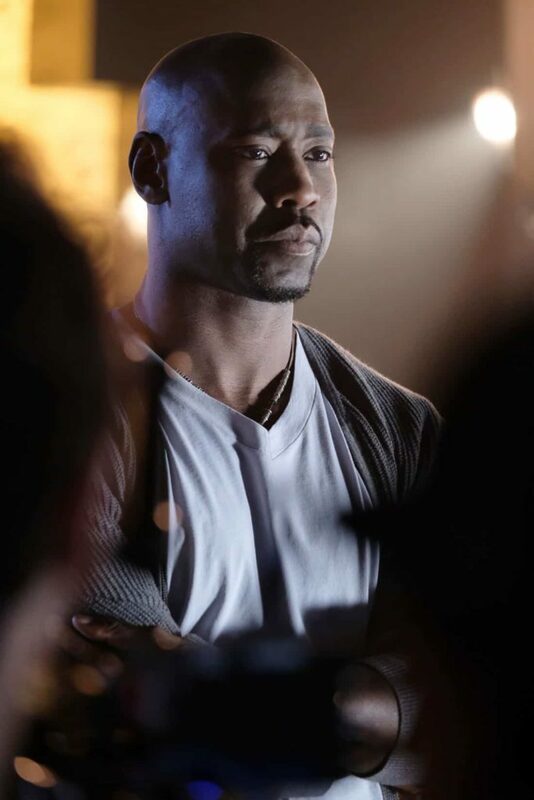 Lucifer proposes that Amenadiel spend time “Walking a mile in Lucifer’s shoes” – his clothes, his social media apps, the whole shebang, really – in order to really learn “How to Lucifer.” Things don’t really go well for Amenadiel and despite looking absolutely fabulous in Lucifer’s attire, he ends up in jail. It might have something to do with not realizing that the one woman who has agreed to sleep with him (after failing so spectacularly with two others) was a prostitute. Thankfully, the watch commander was Dan’s old training officer: strings are pulled and Amenadiel is sprung from the big house. Later, Amenadiel and Dan are having drinks at Lux and after thanking him again, Amenadiel is given another revelation when Dan says, “We all need someone to have our backs every now and then.” Has Amenadiel figured out what he’s supposed to be doing? Perhaps, but when Amenadiel professes his realization to Lucifer, he’s met with scorn and derision. Some pretty strong and hateful things come out of Lucifer’s mouth including Amenadiel being a disgraced failure of an angel, but Amenadiel just smiles and says not to shoot the messenger. Ahh, angelic grace. You know that general rule of thumb as kids that if a boy is mean to a girl, it’s usually because he actually likes you? Ella seems to be picking up on some crazy vibes between Chloe and Lt. Pierce. While it might seem like it’s just Ella being Ella, she might actually have some other sense when it comes to these things. Don’t get me wrong, the new lieutenant is still being a mean and judgy jerk, especially after flat out denying Chloe the union rep position. All Chloe wants is a little professional respect instead of being told off by Lt. Pierce whenever Lucifer does something Lucifer-like and she’s not supportive. 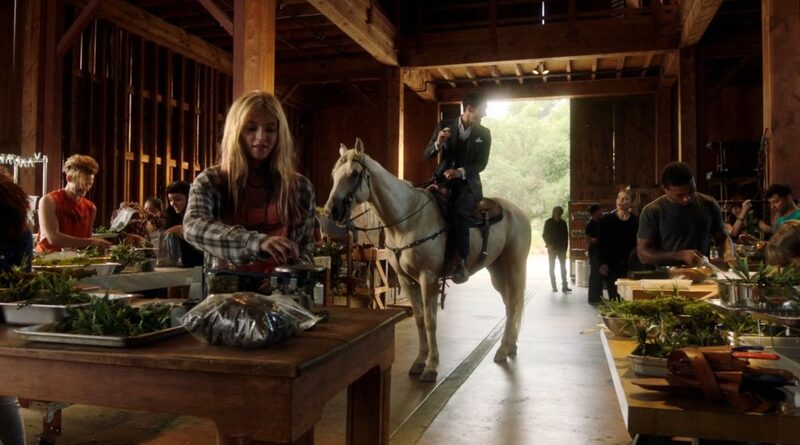 This all comes to a head when Lt. Pierce decides to ride with Chloe to the camp to question Blackcrow. Lt. Pierce reveals that not only does he trust Chloe, but she’s one of his best. He denied her the union rep job because it’s for has-beens (but he nominated Dan for the post. Burn!) and he came along to see her in action firsthand. It’s in the middle of Chloe’s perspective change about Lt. Pierce that bullets start to fly, he shoves Chloe out of the way and winds up catching a bullet meant for her. Having left Lucifer at the scene, Chloe is – understandably – a little flustered during her hospital visit with the lieutenant; it’s hard to be mad at someone who just called you his best detective AND saved your life. Maybe Ella knows what’s up after all? Over in Lucifer’s little world, not only is he hurt that the detective left him to go check on Lt. Pierce, but he’s almost ashamed (and definitely disappointed) that he wasn’t there for her when she needed help. Amenadiel suggests that perhaps the reason Lucifer beat Blackcrow so badly is because Lucifer was punishing himself instead of the human. Why? Because he wasn’t there for Chloe and he cares about her. This is a pretty big deal because, if Amenadiel is right, it means that Lucifer has changed from the old Lord of Hell. Of course, Lucifer is dismissive but something in his eyes tells me Amenadiel is onto something. Would you rather have a single malt cappuccino or a single malt latte? It’s Lucifer’s treat. There’s a quick jab at Coachella that I can’t not enjoy. After complaining about Lt. Pierce, Ella suggests that Chloe pay attention to his actions, not his words. That’s one wise forensics gal and applicable everywhere. She gives the best life advice. That moment when Lt. Pierce says he sees why Lucifer is so affected by Chloe and it’s because she’s special. Should we be reading something into this?